Attached is the updated Testing calendar so that you can plan accordingly for the SAT and ACT. 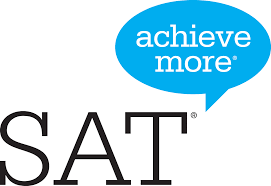 Seniors are strongly encouraged to finish taking their SAT and/or ACT during the fall of senior year for UCs and CSUs. Private/Independent universities have testing deadlines that vary so check that particular university's website for testing info. The easiest way to qualify for a fee waiver is to apply for the free/reduced lunch program. If you get approved you would bring that letter to the counseling center to pick up a fee waiver and test for FREE! NBECHS will be administering the SAT and ACT on our campus during the October dates. The regular registration deadlines are quickly approaching so don't delay. You'll be able to get a fee waiver from Mrs. Braun in the counseling center on a first come first serve basis by bringing up current free/reduced lunch letter. *There are some ACT practice booklets available in the tutoring room. Below are the alpha splits by counselor in case you have any questions. Mrs. Frey- last names "A-Gr"
Mrs. Pickering- last names "Gu-Ol"
Mrs. Wakugawa- last names "On-Z"